This is a Steam Wallet Card redeemable via Steam for the amount of $30 (USD). 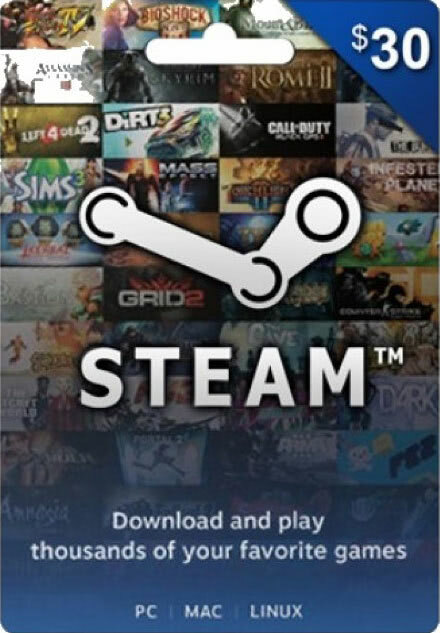 Steam Wallet cards are used for the purchase of games, software, or any other service that you can purchase on Steam. This product is redeemable directly through your Steam account. Note: If your account has a different currency selected, then Steam will automatically exchange the $30 (U.S. Dollars) into your account's selected currency based on Steam exchange rates. Please note that Igroshop is not responsible for any currency conversions done by Valve or Steam or any of their affiliates.